Styled with scully turtleneck and caitlin jogger . 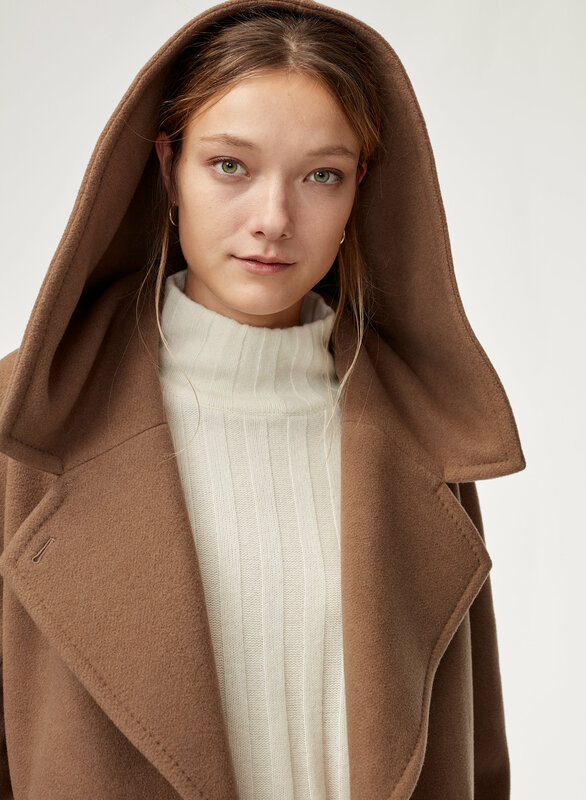 A classic cocoon silhouette done in an Italian virgin-wool blend. 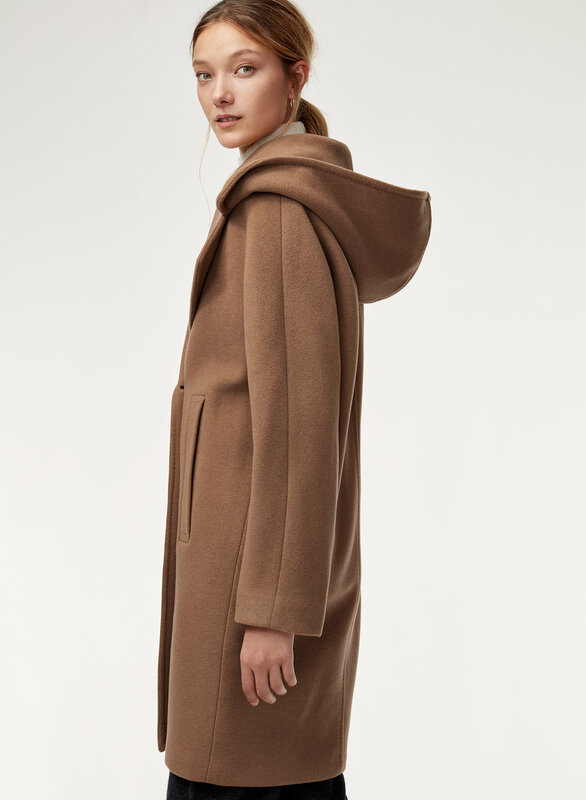 The Leandra is warm and softly structured with timeless styling and a cloak-like hood. The Leandra features a breathable bemberg liner and a faux-suede interlining for extra protection against the elements. I like the oversize fitting and size 1 is perfect for me. 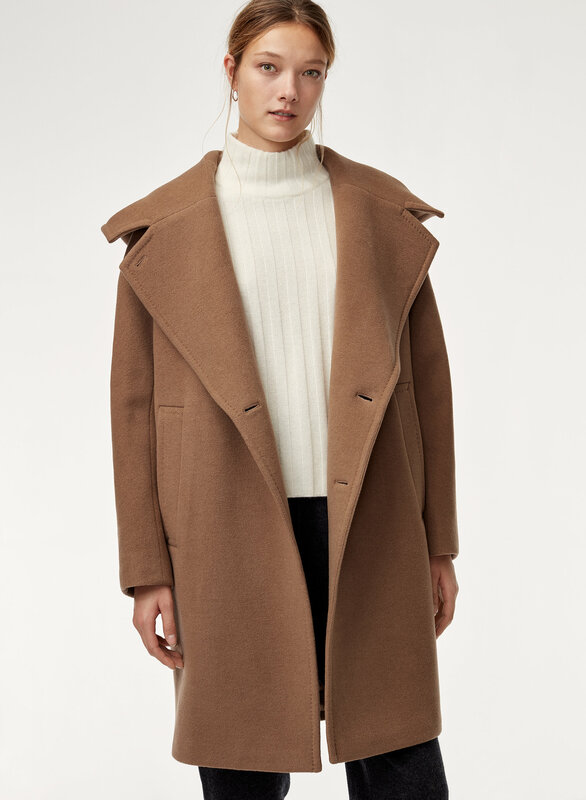 I have a small frame and currently 8 months pregnant and this coat still have that oversized look and looks amazing on me. It is also very warm. Definitely worth your money!With the black colour, you need to have a lint roller on you all the time though. 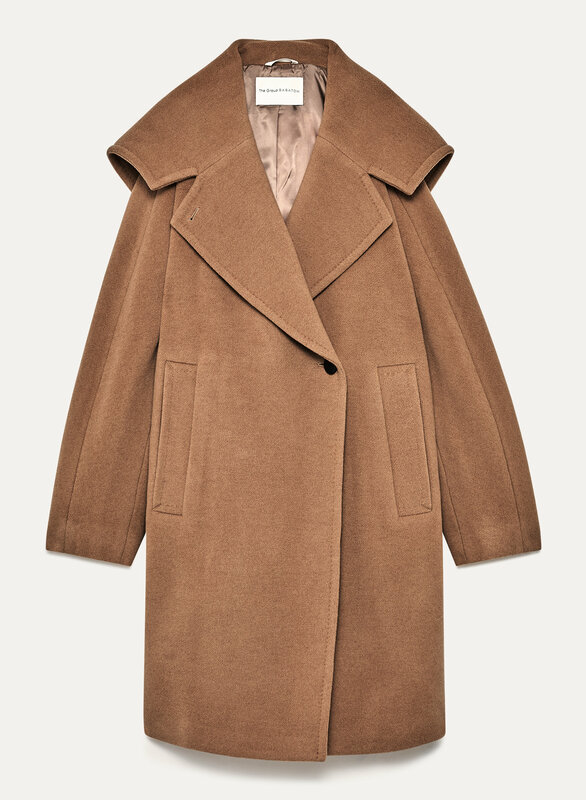 love my coat. it's so cozy and cute. Warm and comfortable, easy to wear and can be worn with layers underneath. 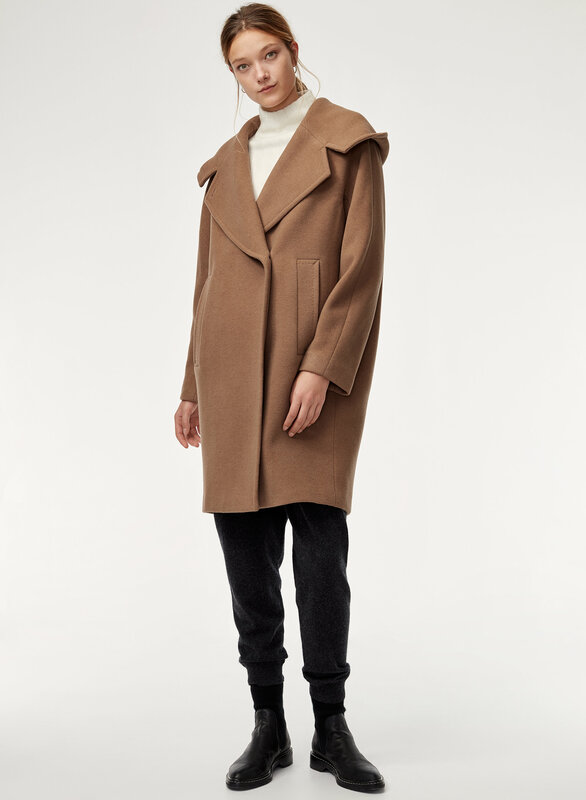 I wanted to love it, but it did not work Returned a coat. It is more narrow at the bottom and it made me look like a balloon. I wish it was straight. Loved the style though. 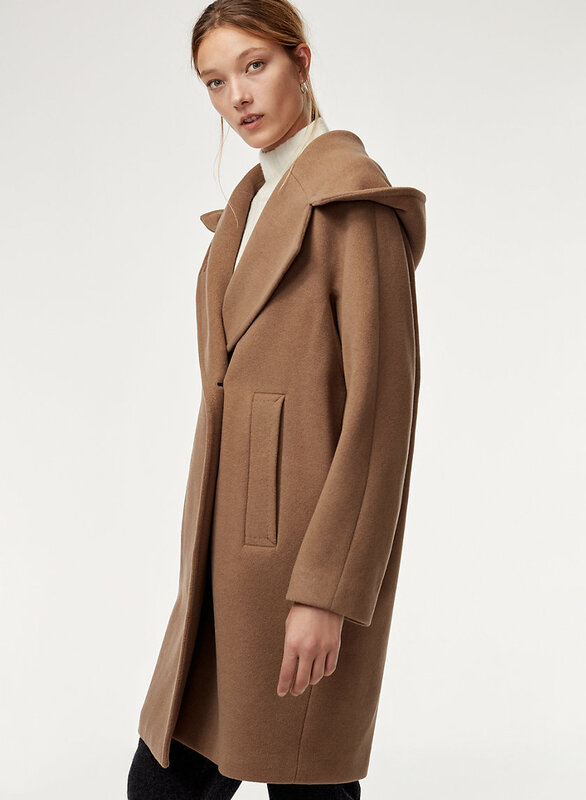 This wool coat is thick and long enough for winter. The size runs large so you could wear chunky sweaters inside! Very good purchase! It's just perfect. Very comfy, gorgeous, keeps me really warm . At a -3 temp, I am just wearing a regular cotton shirt inside.